Hansa is known and respected for its exquisite ~ unprecedented detail and coloring - truly amazing collectible plush! Beautifully hand crafted with realistic lifelike features. The material is hand-cut and lovingly designed from portraits of real animals. 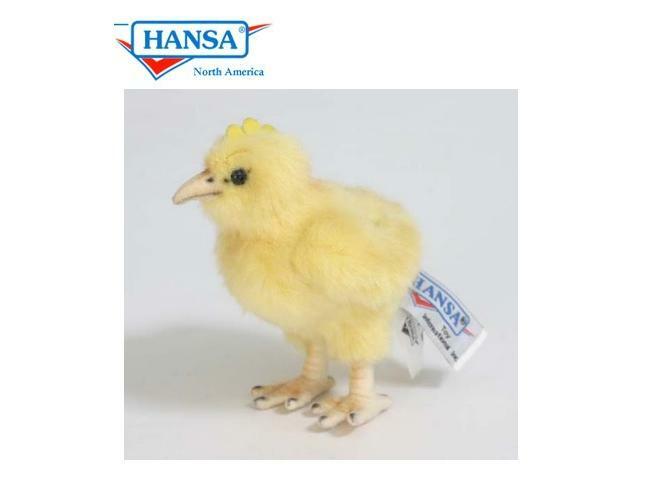 Each specially designed HANSA animal is made with gentle paws, swishing tails and soulful eyes. This chick measures approximately 4 inches long, 3 inches wide, and 4.75 inches high.